The Council of Europe is deeply involved in the global counterterrorism battle through legal and social means, seeking to thwart “jihadi-tourism” and ensuring that terrorists can’t find safe haven anywhere, Russia’s representative to the organization told RT. In July and August, Russia joined two conventions of the Council of Europe – one countering terrorism financing and the other focussing on security at sporting events. Russia has also signed the Additional Protocol to the Convention on the Prevention of Terrorism. Ivan Soltanovsky, Permanent Representative of the Russian Federation to the Council of Europe, spoke to RT and Sputnik about Russia’s priorities in these areas. RT:How important is it for the Russian Federation to join the convention on countering terrorist financing? Ivan Soltanovsky: In the early 2000s the World faced the unprecedented surge in international terrorism. Terrorist organizations gained considerable capacities and support. One of the major causes was their ability to gather large resources through both criminal and legal activities and donations of various NGOs. It is evident that the efforts of single states were insufficient to cope with this challenge. At this time, the Council of Europe developed the Convention on Laundering, Search, Seizure and Confiscation of the Proceeds from Crime and on the Financing of Terrorism. Russia ratified this convention in August this year. This convention establishes the mechanism which can prevent terrorist attacks by cutting terrorist financing. Russia gets an additional capability to disrupt the financing of foreign terrorist fighters in its territory. RT:The Council of Europe does not limit itself to fighting terrorism financing. What can you say about the Additional Protocol to the Convention on the Prevention of Terrorism? IS: Indeed, we develop different mechanisms to combat terrorism in the Council of Europe. Unfortunately, terrorism continues to evolve, it takes new forms and adopts new methods. The Syrian crisis has given rise to so-called “jihad-tourism”. States encounter the problem of prosecuting their citizens for terrorist activities which have been committed in another country. It is also critical to stop foreign terrorist fighters in their own territory. The Additional Protocol to the Convention on the Prevention of Terrorism which was signed by the Russian Federation on July 27 is a response to these challenges. This document criminalizes trips to other countries to participate in terrorist organizations as well as the organization and financing of such trips even if such activity is not aimed at committing terrorist attacks per se. I would like to say something about the Convention on the Prevention of Terrorism of 2005. Our country initiated its development and was one of the first signatories. One of its most important features is that it enshrines the principle “extradite or prosecute” as well as criminalizes public incitement to commit terrorist offences, recruitment for terrorism and training for terrorism. The ‘extradite or prosecute’ principle means that a party to this convention is obliged to initiate a prosecution against a suspected terrorist whom it denies to extradite to another party of the convention. The terrorists should be unable to find a safe haven anywhere. RT:Could you please talk about the activities of the Committee of Experts on Terrorism which is the main specialized body of the Council of Europe on counterterrorism? IS: Unfortunately, the Russian Federation has gained great experience in combatting terrorism in recent years. And this experience unequivocally demonstrates that antiterrorism is much more efficient if it is implemented in cooperation, if competent authorities exchange information on a regular basis and share the best practices. This is why the Russian Federation is active in the Committee of Experts on Terrorism or CODEXTER. This Committee coordinates antiterrorism in the Council of Europe, analyzes international counterterrorism norms, standards and practices and overcomes their shortcomings. 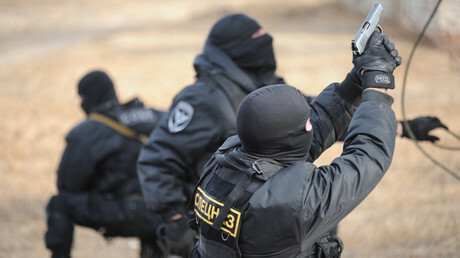 CODEXTER also cooperates closely with other international institutions and organizations such as the UN Counter-Terrorism Committee Executive Directorate, the UN Office on Drugs and Crime, the Organization on Security and Cooperation in Europe, the European Union and the Global Counterterrorism Forum. Thus, CODEXTER promotes trust-based relations between competent authorities of different countries. This simplifies international counterterrorist cooperation, accelerates the resolution of many issues and it will be no exaggeration to say that human lives often depend on this. RT:In 2015, the Council of Europe adopted the Action Plan “The fight against violent extremism and radicalization leading to terrorism”. What can you say about it? IS: We welcome integrated and systemic approach of the Council of Europe to counterterrorism. We consider the action plan which stipulates the priorities of antiterrorist activities of the Council of Europe for 2015-2017 against this background. We are positive about the fact that this document focuses on terrorism prevention. We consider preventative work against radicalization in prisons to be very important. As both Russian and international experience demonstrates many terrorists become radicalized in prisons. Thus, relevant developments of the Council of Europe which are based on the best international practices are highly topical. Recent events show that terrorists acting alone pose all the greater threat. 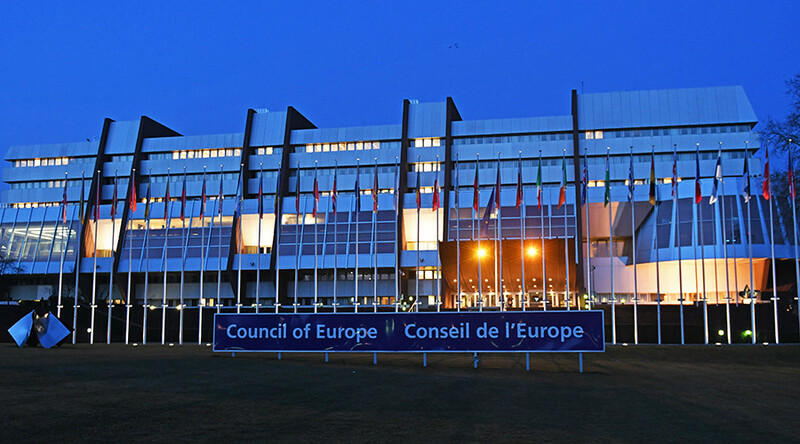 The plan envisages that the Council of Europe elaborates a recommendation on terrorists acting alone given the experience obtained by a number of countries. No doubts that such a document will be very useful for the Russian Federation. RT:What could you say in conclusion before we move on? How would you evaluate current results of antiterrorism in the Council of Europe? IS: Counterterrorism has become one of the main activities of the Council of Europe. It has found its own niche in the global fight against terrorism. The main efforts of the Council of Europe are focused on counterterrorism through legal, social and cultural means. I think that multilateralism is a distinctive feature of counterterrorism in the Council of Europe. 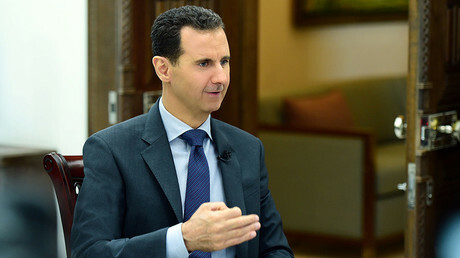 We obtain a capability to thwart international terrorism, to cut its foreign financing, prosecute crimes committed abroad, request terrorists’ extradition from other countries. So the Council of Europe contributes to a common European legal framework of law and order area and facilitates European democratic stability. We are satisfied that the Council of Europe has managed to retain a depoliticized and result-oriented cooperation in this area in current difficult political climate. We have always supported stronger antiterrorist cooperation. Unfortunately, practically all the Member-States have encountered the problem of terrorism. In this context, our country advocates stronger human and financial potential for the Council of Europe in this area. We are sure that this will increase antiterrorist capabilities of the Council of Europe. RT:Also on the radar of the Council of Europe… is European legal regulation in sport. What could you say about the activities of the Council of Europe in this sphere? IS: Sporting issues are gaining an ever-growing importance in the dimension of humanitarian cooperation in the Council of Europe. One of the reasons for this is that the organization seeks to become a major developer of international sports standards. I believe that the Council of Europe has the necessary potential to succeed here if it keeps current balanced and depoliticized approach. I am convinced that the Council of Europe can play a role of utmost importance in protecting sportsmen from discrimination in different international sports organizations. The European Court of Human Rights could deal with these issues. The reasons are obvious. The breaches of the European Convention on Human Rights are more often than not evident. RT:This August, Russia ratified the Council of Europe Convention on an Integrated Safety, Security and Service Approach at Football Matches and Other Sports Events. 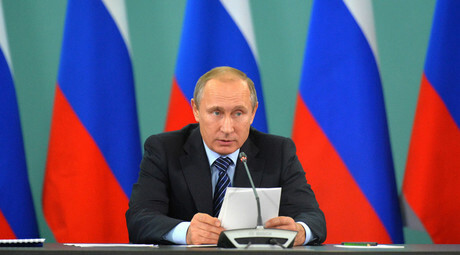 What are the priorities of the Russian Federation in this area in the Council of Europe? IS: I am sure that the ratification of the Convention will help Russia to prepare even better for the upcoming Football World Cup. Hooliganism at sports events has a trans-border effect. The convention will aid in establishing a new system of ensuring the safety of such events. This step demonstrates Russia’s serious attitude towards both implementation and the development of new sports standards in this area. This is completely true for fighting doping. A bilateral anti-doping action plan was signed by Russia and the Council of Europe in May 2016. It is aimed at overcoming the doping scandal with our country. As a co-author of this plan the World Anti-Doping Agency also approved it. Its systematic and successful implementation has borne fruit. WADA has recently allowed the Russian Anti-Doping Agency to take tests (although under control of the colleagues form the UK) and published a favorable report on the status of the Russian anti-doping system. This plan is unique because it provides for establishing the highest anti-doping standards. After it has been implemented, Russia will become the most advanced country in this sphere and set the bar for other countries.